Swan Valley Wine Tour. What a great day out and about to experience all these tempting delights. Our morning starts with our traditional morning tea in the grounds of Houghton’s Winery. After morning tea free time to check out the gift shop and art museum and to purchase some wine. After we head for Whistlers Chocolate factory followed by Morish Nuts and The Nougat Factory Enjoy a tasty 2 course lunch at the Vines Resort. We finish the day with some wine tasting at Pinnelli Wines. In addition to the above Swan Valley and vines Resort Tour, Perth Bus and Coach Charters has other tour options available. We can put together any combination of venues that you wish or alternatively you can design and arrange your own content for the day charter. We have a range of vehicles available from small 19 , 24 seat mini buses to 45 seat luxury coaches. Our luxury coach is fully equipped with iPod / iPad connectivity and also has a full Karaoke setup to further add to the fun on the day. Words to your favorite songs are displayed on the twin TV monitors and a microphone extends throughout the coach. We have a huge selection of Karaoke DVD’s to choose from including old time favorites like ABBA and Elvis. Its all about having a lot of fun on the day and creating fond memories that your group will treasure for years to come. 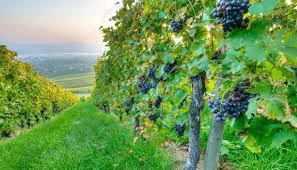 Perth Bus and Coach Charter can also arrange Wine Tours to the Bickley Valley, Margaret River and also the Chittering and Avon Valley. We have over 30 years experience and would love to help you make your groups day out a very special occasion. Contact us now for the best deal.